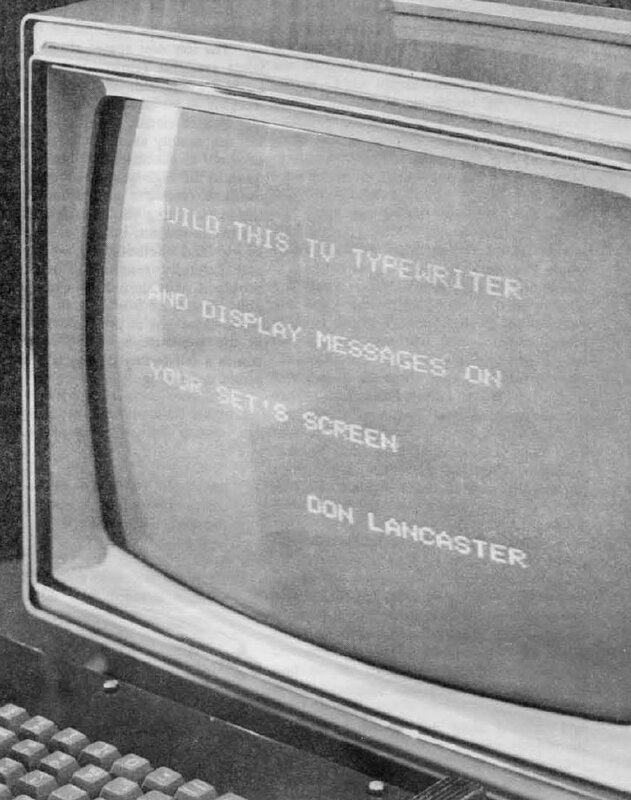 Software Safety: The 1973 TV Typewriter vs the 2013 16,486,400 pixels display. The 1973 TV Typewriter vs the 2013 16,486,400 pixels display. Don Lancaster long time hacker guru posted the complete design to his 1973, ground breaking at the time, TV Typewriter: This character generator and your TV set form a computer terminal, educational toy or display device. Basic details are here. Full and complete data is yours when you need it . 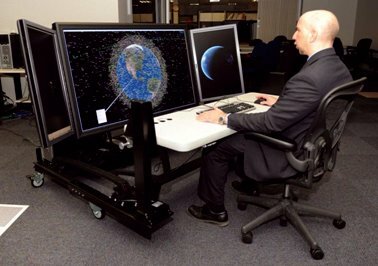 The ergonomically designed large-display workstation consists of two 30" displays, each with a resolution of 1600x2560 and one 56" Quad-HD display with a resolution of 3840x2160. This creates a display system with a combined resolution of 16,486,400 pixels, which is 7.95 times that of HDTV. The display height, display tilt, and keyboard tray height are independently electro-mechanically controlled and paired with a manual keyboard tray distance adjustment. The system is on casters for portability and can be collapsed to a depth that fits through a standard 3-foot doorway. It maximizes a user's workspace while minimizing the footprint necessary to provide such a powerful display system. While you are at Don's site take a look at his The incredible secret Money Machine: A How-To Cookbook for Creating Your Own Computer, Craft, or Technical Venture , 1978 style.